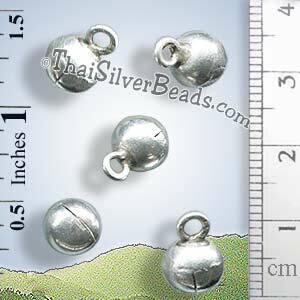 Cute small plain silver bell charm - Ideal addition for a charm bracelet or anklet. Hand Made in Thailand by the Karen Hill Tribe. All silver charms and pendants are finest quality artisan handmade - Weights and appearance can vary slightly.